Jonathan Chetrit, son of enigmatic developer Joseph Chetrit, just dished out $4.8 million for a Greenwich Village co-op. 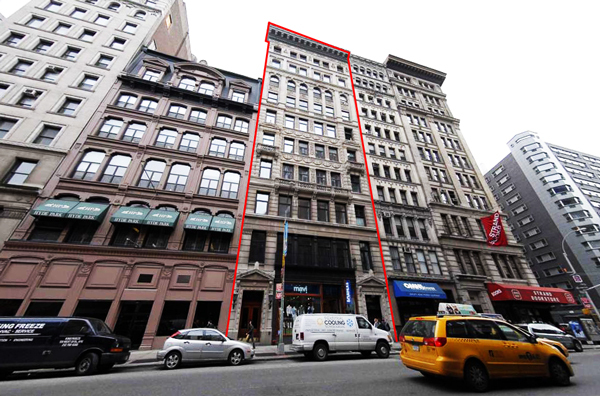 Chetrit purchased the third-floor unit at 832 Broadway, according to documents filed with city’s Department of Finance. The scion purchased the full-floor unit through a bankruptcy auction. The former owner, Dorothy Palmer, filed for Chapter 11 bankruptcy in 2012, listing her apartment as her principal asset. The proceeding was later converted to a Chapter 7 bankruptcy. Palmer had tried to fight the auction, arguing that the apartment could be sold for $6 million, according to documents filed with U.S. Bankruptcy Court in Manhattan. The court approved the sale despite her objections. Chetrit could not immediately be reached for comment on the purchase. When last the internet checked in with Chetrit, he was spotted hanging out with his brother, Daniel, and the likes of Bella Hadid and Kendall Jenner. Daniel works as a DJ and Jonathan, who is described on a few Italian gossip websites as a filmmaker, is a regular at his gigs. Their other brother, Michael, boxes. It’s not clear what any of the Chetrit children do in relation to their father’s real estate business. At a charity boxing event in November, Sam Chetrit told The Real Deal that the brothers have held “very unique” positions.